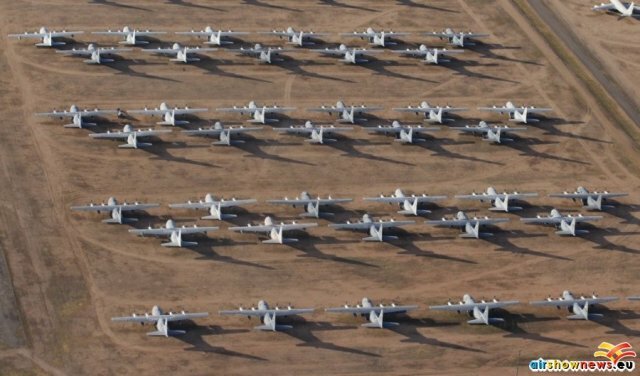 The US Military have been using the area south of the active air base for decades from retired WW2 bombers through the cold war to Vietnam and the Gulf. 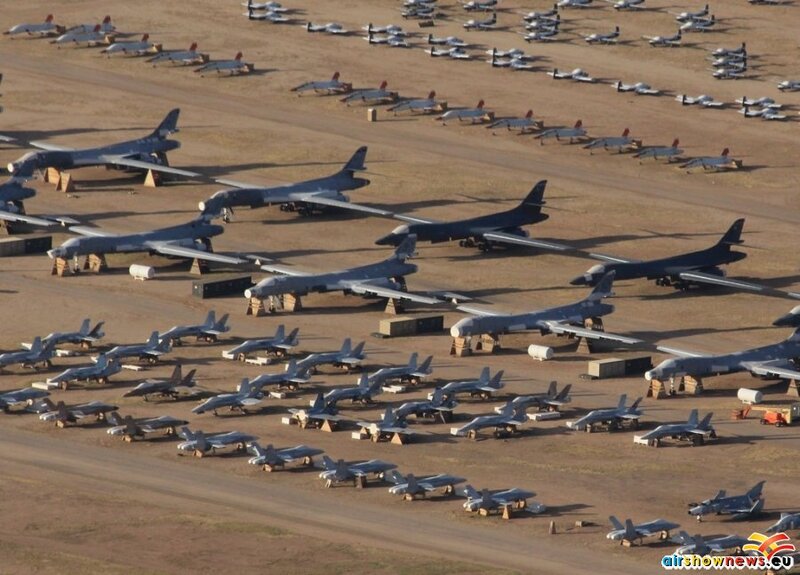 In the military there are always times when more is never enough and then, post conflict, when there are just too many of everything to sustain in active service. Since the sixties when more affordable transatlantic travel emerged, enthusiasts have beaten a path and ‘walked the fence’, often in searing temperatures to ferret out those individual aircraft, retired from the more remote bases that escaped their eyes and notebooks, the process of visiting AMARG has matured. 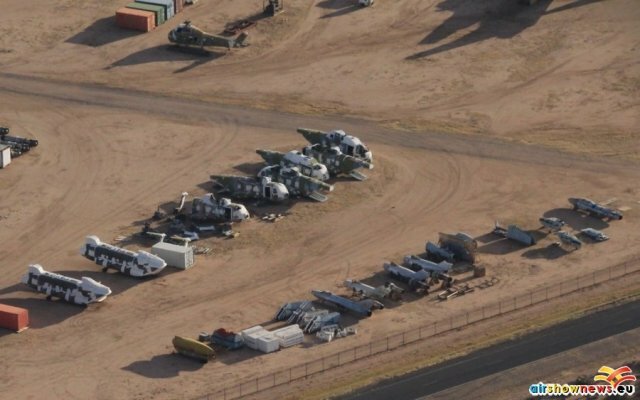 It is now relatively straightforward to take a flight over or around the ‘boneyard’ to ensure everything is seen and then download a copy of the inventory to cross check with digital imagery; the Arizona weather nearly always cooperates. The other emotional driver beyond ‘gapfilling’ is that universal nostalgia. 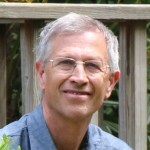 It is rare to find an enthusiast who does not wish they had been active 5 or 10 years earlier or travelled more widely as a schoolchild. 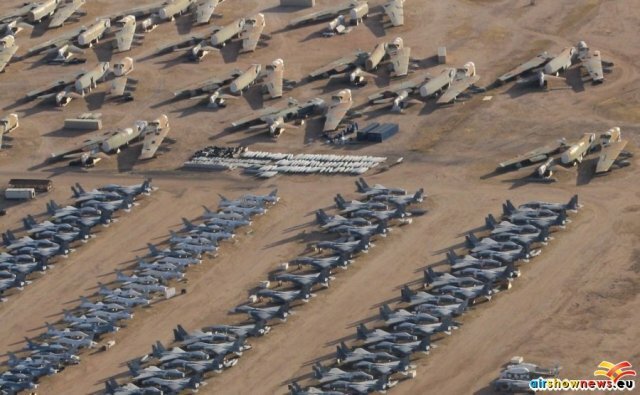 A first visit to AMARG usually excites those desires as the previous generation of hardware is usually well represented, either in store or with the numerous scrapyards or ‘recycling centers’ that surround the facility. 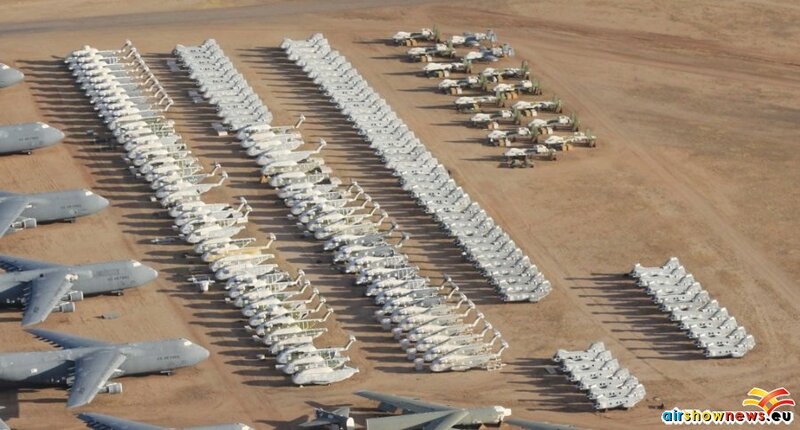 Fortunately, the establishment recognised that the boneyard often contained either the last of a type or the significant ‘MiG-killer’ or record breaker that has led to the establishment of the enormous Pima Air Museum on the western fringe. 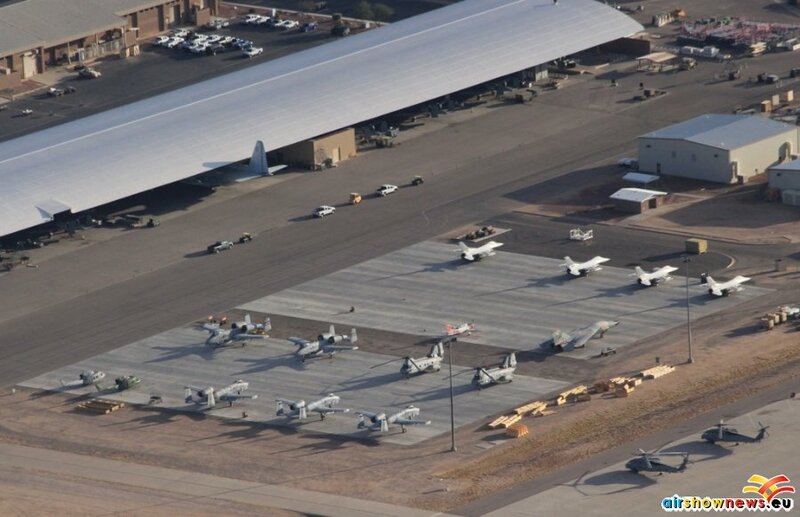 With the ability to tow aircraft directly from the base this has saved numerous airframes, provided employment, heritage education and tourism benefits to the city of Tucson. The Museum offers bus tours on weekdays that take a select route through the major areas of the boneyard with an informed commentary and photo opportunities from the bus. Official access ‘inside the fence’ is limited to specialist researchers and the media but there is sufficient global awareness of the magnificent repository that Hollywood and documentary makers often use it as a backdrop despite the reductions in Public Affairs staffing over the last 20 years. The active base houses the last remaining A10s plus some new C130Js. A US Customs fleet helps pattrol the Mexican border to the south. 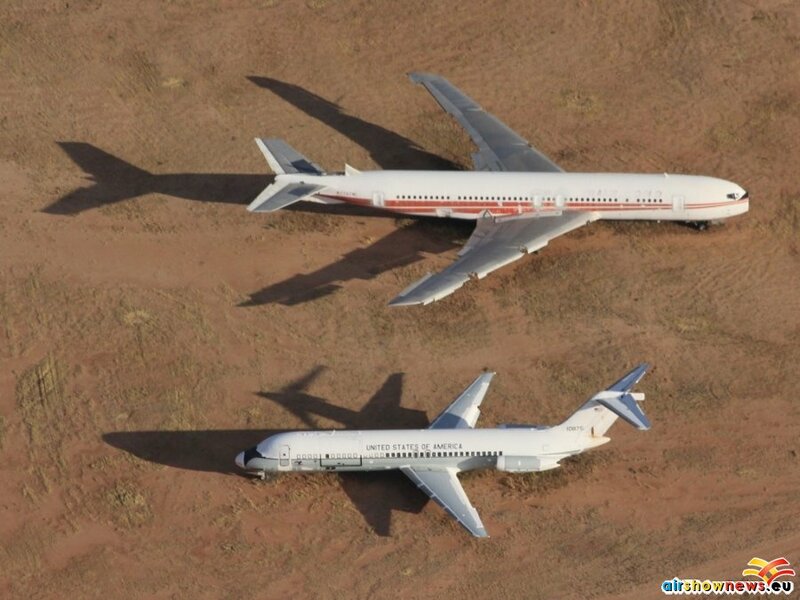 Before arranging a flight there are a few personal considerations. First, you are likely to be in a high-wing Cessna. Only the front side windows open for completely clear photography so sharing the front with the pilot in command is ideal. A Cessna 150 series is cheaper by the hour but slightly slower. A Cessna 172 split 3 ways is much more affordable but the rear passengers, though having a clear view, may get poorer pictures. 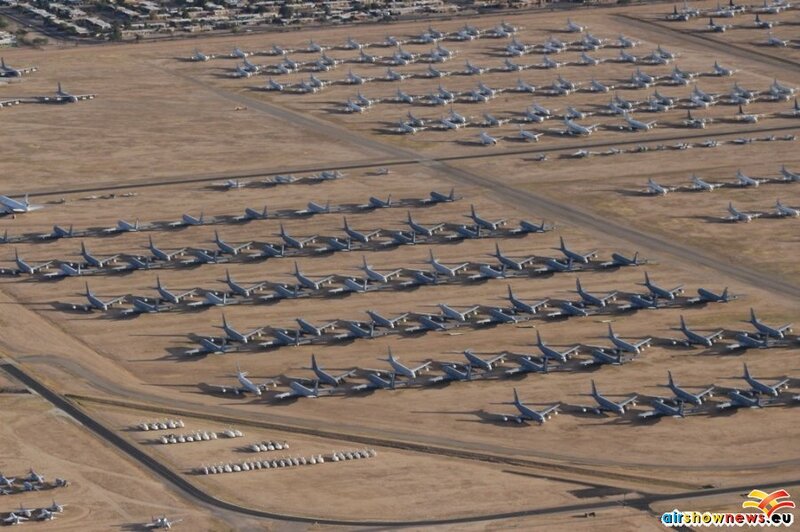 There are currently limitations on the distance that can be legally flown from base on a sightseeing flight. 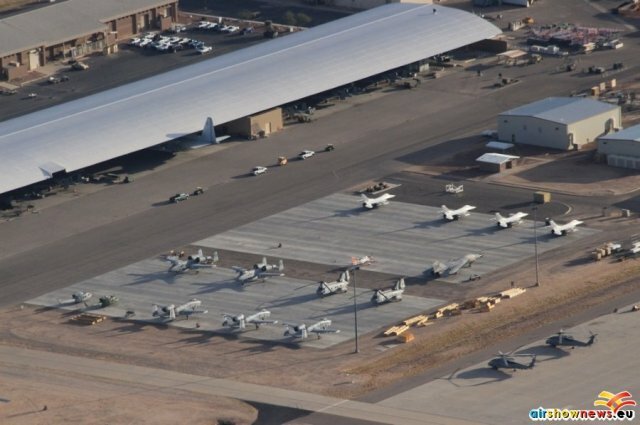 If it is desired to overfly the civilian storage facility at Pinal Air Park (Marana) as well then, officially, this is beyond the range of aircraft hired at Tucson international. The various companies sometimes pick up your group at Ryan Field or Avra Valley to reduce the distance but may then charge a ‘positioning’ fee back to Tucson. 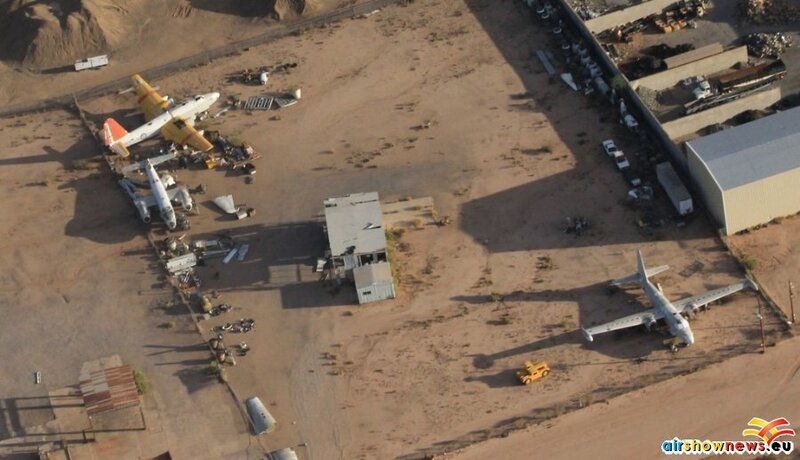 There are companies at both Avra and Ryan withinh the range limit of both fields, the main reason for overflying the airliners at Pinal is the lack of perimeter views and even a touch and go or landing and taxi back can upset the local authorities. There are no such issues around the AMARG perimeter as long as common sense and safe driving is employed. For this article I used Kelly’s at Ryan Field who completely understand the enthusiast; be aware that permission to circle or overfly AMARG can only be requested once airborne so there are no guarantees due to operational requirements on the day; hence, a Sunday is often the best bet though, if you wish to take a Museum bus tour as well then you need to stay over for a weekday. Tours are best booked in advance and a photo ID is essential. I find that three days in the area is a minimum to allow time at the Museum and an opportunity to cruise the fence and even take a look at the scrap areas; some of which can be tolerant of tourists, but not all. 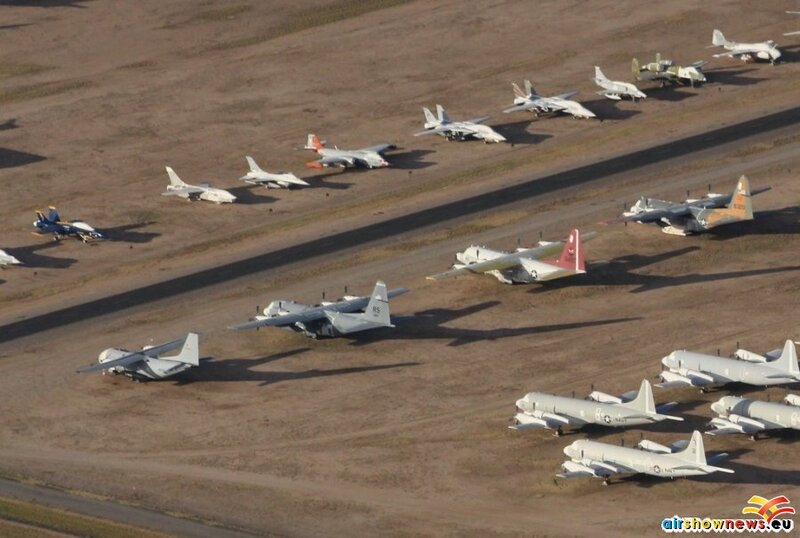 My first visit was in 1979 when C119s and Constellations dominated though I had just missed the lines of Globemasters and Cargomasters so now I try to visit about every 5 years to stay up to date. Many types I saw enter service are now fading into retirement such is the technological turnover and rate of political change. 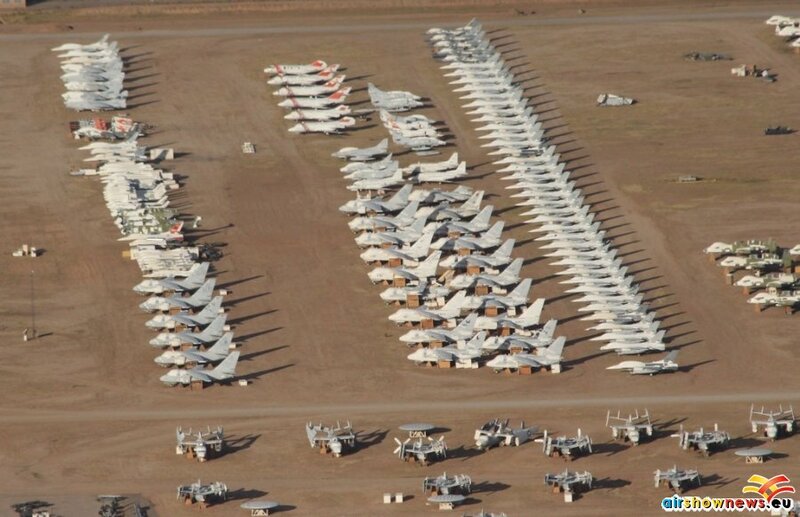 In 2013 the last remnants of the F4 Phantom force can be seen; the endless rows being supplanted by early F16s, C130s and P3s. Many F4s have been rebuilt as drones but the Starlifters have been through and been scrapped, many only staying a few years. For years the iconic view was the lines of B52s, E and F models in the 70s, Ds in the 80s and then the dribble of Gs and Hs. 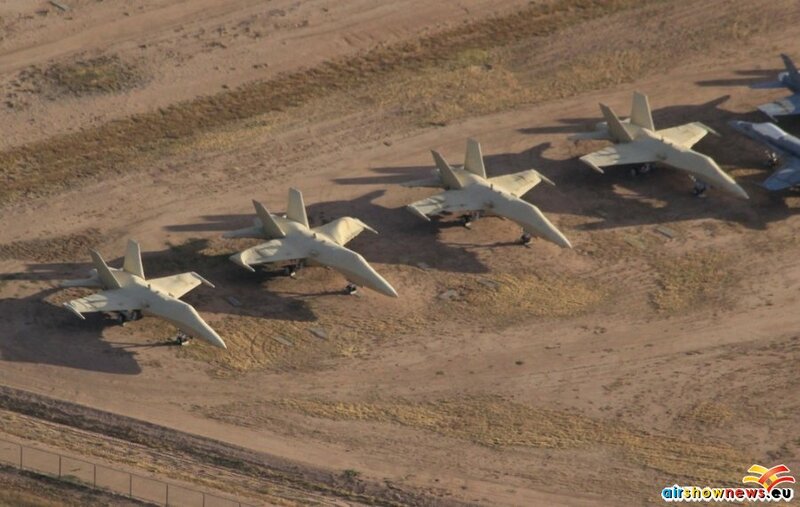 Apart from those still in service there now remain only a cluster of these, left with their wings severed to satisfy satellite verification requirements as part of SALT promises. 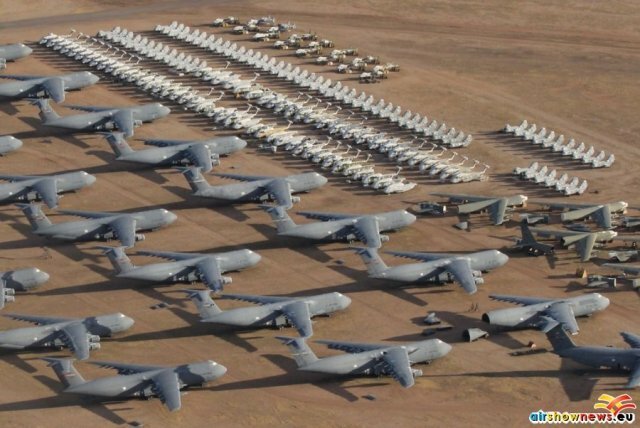 The giants of the boneyard are now the C5 Galaxies accompanied by KC135s and C130s as they are replaced with newer models in reduced numbers. 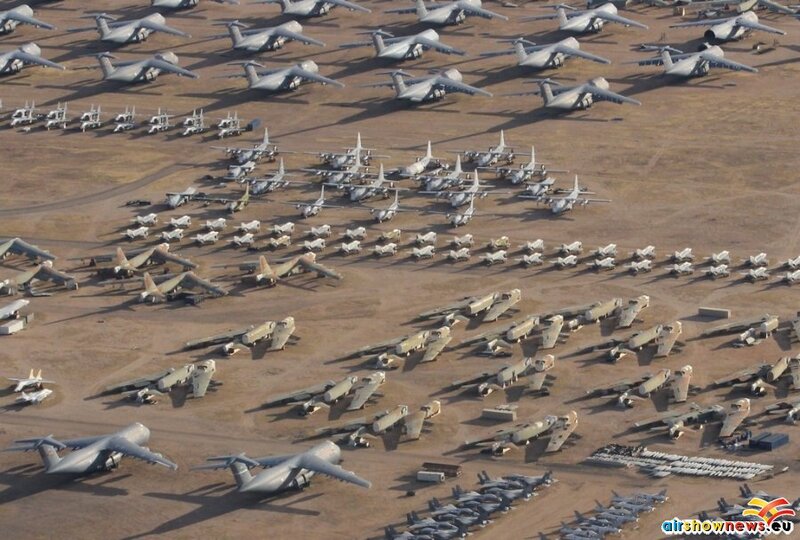 The Navy and Marine Corps also populate the desert lines with P3 Orions dominating but lines of A6 Intruders and early F18 Hornets arriving in large numbers. After the hoards of S58s in the 60s there had been a dearth of helicopters but, in recent years lines of H53s, H46s and H60s are appearing, their dark colours brightened by the liberal application of white ‘spraylat’, covering the acrylics, primarily to prevent scratching and reduce internal heating from the Arizona sunshine. The recently arrived RAF Harrier force have their fuselages almost totally covered and some Hornets are ‘bagged’ an experiment that the enthusiast hopes is unsuccessful. Other types are present, liaison types like Learjets, Kingairs and even some Cessna singles. 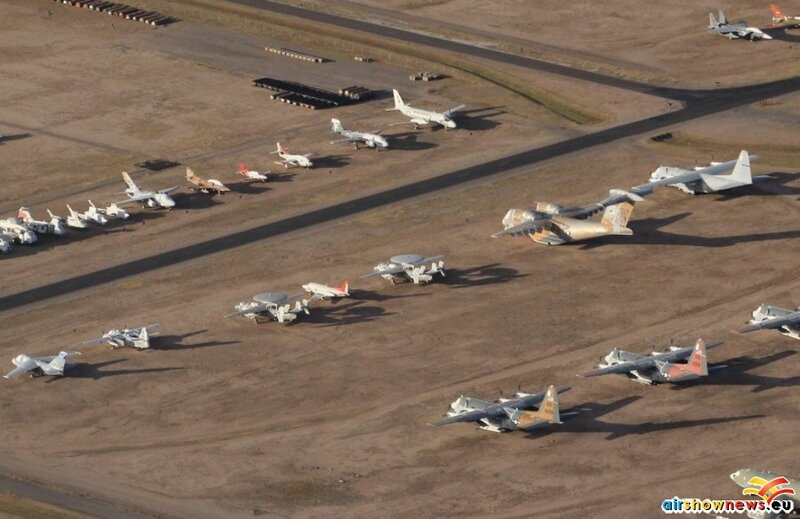 A few B1s, surplus to requirements, share space with B57s ad even two WB57s supporting those used by NASA. 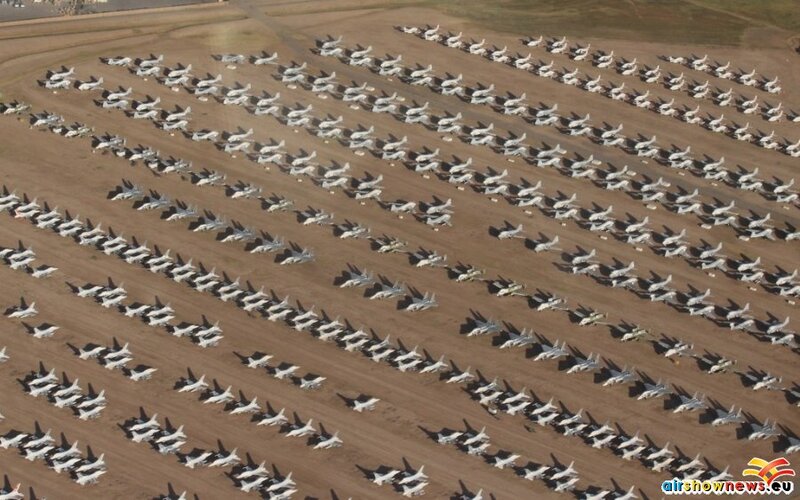 As training fleets are upgrade, large numbers of T37s are held, no doubt space will be found for lines of T38s once the replacement is chosen and delivered. 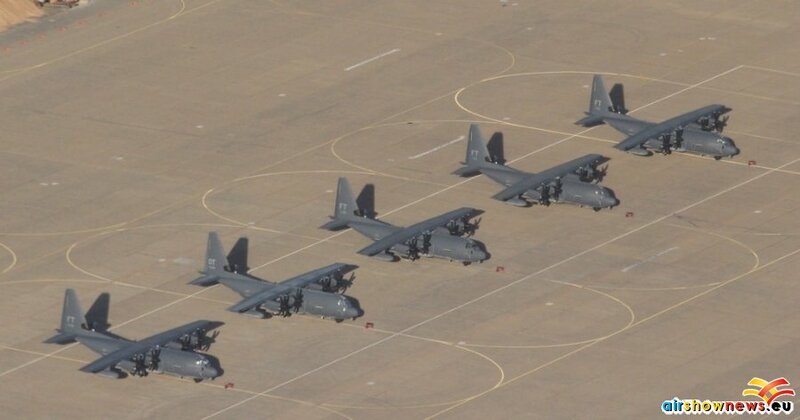 The Navy has T2 Buckeyes and a few A4s and the contentious C27 Spartans stand waiting for their future to be decided, as do the A10 Thunderbolt IIs whose future is still uncertain. 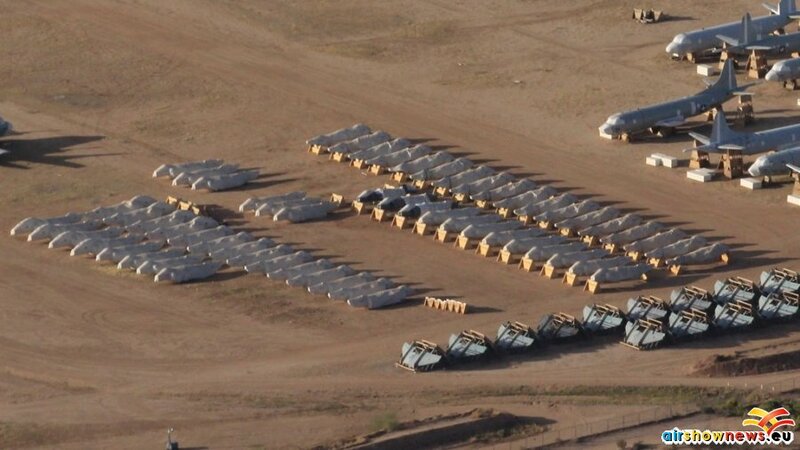 One element of AMARG I have yet to mention is ‘Celebrity Row’. The main thoroughfare between the numbered zones has a line of selected aircraft on each side representing each type held at AMARG over the years. Although not comprehensive it makes a great historical corridor for the bus tours and holds some unique items, particularly the YC14 and 15 that led to the selection of the C17 as the USAf airlifter of today. 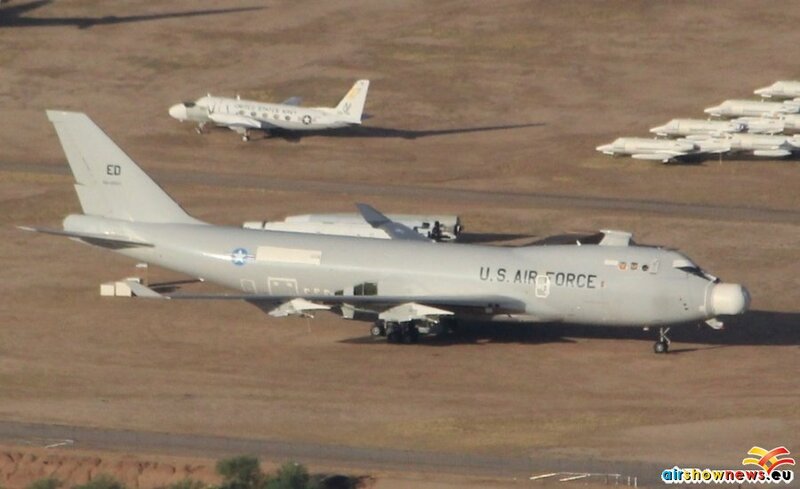 The airborne laser conversion of the Boeing 747 stands here at present though is earmarked for transfer to the USAF Museum in Ohio even though it never entered service. 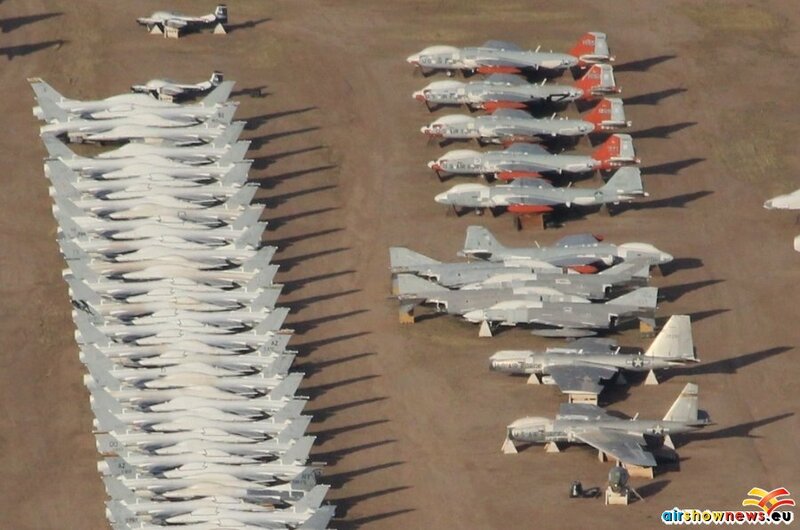 Many non-specialists might regard a visit to Tucson as a ‘once in a lifetime’ experience but, believe me, the rate of change is such that, once seen, it is difficult to resist returning as the inventory evolves and further types are transferred and lovingly restored at Pima. Believe me – you will always wish you had been before! 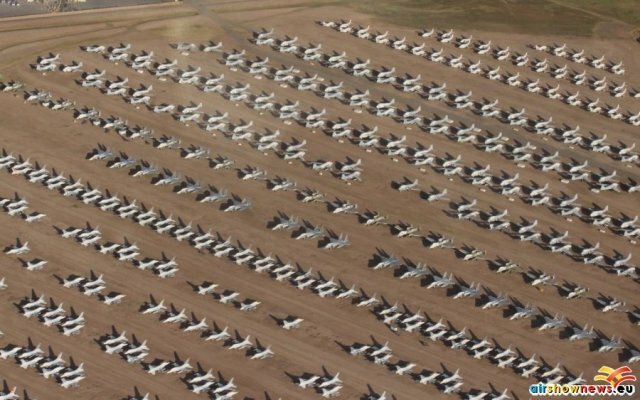 This entry was posted in Exhibitions and tagged AMARG, Arizona, D-M, Davis-Monthan AFB, Marine Corps, MASDC, navy, USAF by Peter Davison. Bookmark the permalink.